Top Rated Writing Tutors in San Francisco, CA! Welcome to San Francisco’s top-rated private writing in-home tutoring service! 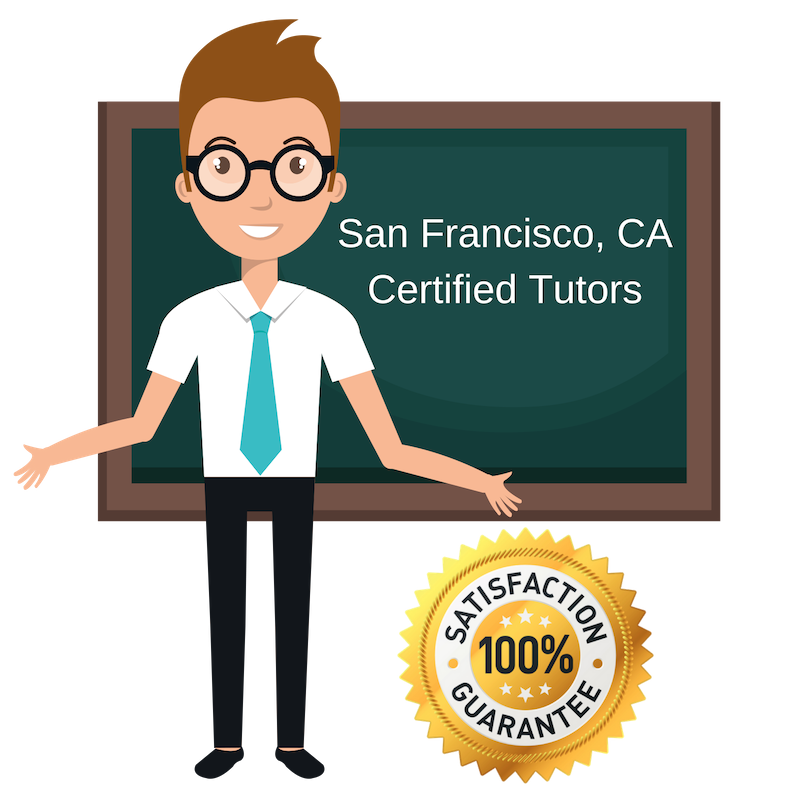 All of the following San Francisco writing tutors are certified by Varsity Tutors, the leading tutoring agency in the country! All San Francisco writing tutors have been background checked, been interviewed, had mock writing tutoring sessions, and been trained by professionals. We guarantee you will love your local San Francisco writing tutor or your money back! Get information regarding a top-rated writing tutor today! I am a tutor for writing, reading, and other topics in the English language arts, currently located in San Francisco, CA. While I studied classical voice performance for my undergraduate and graduate degrees, I have extensive course experience with writing and composition from my experience completing the International Baccalaureate Program. As an IB student, I intensively studied English, psychology, and history. I remain interested in these topics today and have also developed strong interests in gender studies and foreign languages. I very much enjoy tutoring students in the areas of reading and writing, and specialize in helping students work on projects or papers and improve oral presentations. I currently work as a professional tutor in San Francisco, CA. Previously, I attended Samuel Merritt University for my master’s degree in nursing, and the University of California, Santa Barbara, for my bachelor’s degree in psychology. In addition to my bachelor’s degree in psychology, I completed a minor in Spanish literature studies during my undergraduate education which strongly contributed to my interest in writing and language arts. Today, I am happy to help students who might be struggling with the technical aspects of writing or who just wish to have additional guidance developing their style or voice. I welcome students from all backgrounds. I have a love for teaching and education and am currently working as a private tutor here in San Francisco, CA. As a personal tutor for test preparation, reading, and writing, I am frequently working with students who have different creative styles and ways of learning. I hold two bachelor’s degree in human rights and in urban studies, which I received from Barnard College at Columbia University in New York. My studies involved constant reading and writing assignments, and so I am very comfortable helping students improve their skills in the English language arts and gain confident in their abilities to tackle difficult works. I’m currently living and working in San Francisco, CA as a private tutor for students seeking assistance in writing, reading, standardized testing, and more. As I am currently applying for medical school myself, I have generous experience composing compelling essays and personal statements, studying large amounts of material, understanding difficult concepts, and mastering time management. I have over six years of experience working as a mentor and tutor to students, and have worked with both peers and younger students. As a volunteer, I helped middle school and high school students with math and writing, and as a peer mentor, advised college freshmen on study strategies for success. I enjoy helping students finding confidence in themselves through our work together! I am currently available for English language arts tutoring in San Francisco, CA and specialize in the development of writing skills. Previously, I have worked as a writing tutor for college peers at Pomona College, as well as a teaching assistant at a fellowship I recently completed with New York University in Abu Dhabi. I believe that literature is an invaluable educational tool and is meaningful for individuals of any level of education. As a tutor, I try to share my love for writing and literature with my students and hope that, through our sessions, they will develop an appreciation for writing as well.